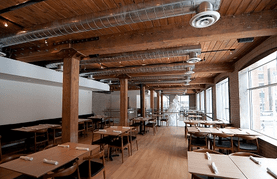 Design, themed & boutique hotels in Toronto, Canada. Ideas for romantic getaways & breaks. One of the best art themed hotels & boutique hotels in Toronto, Canada for romantic breaks & getaways. With it’s unique artist designed rooms, over 70 art exhibitions a year, 3 dedicated gallery spaces and 1 full-time Director of Exhibitions, there’s a reason this is known as Toronto’s Art Hotel. 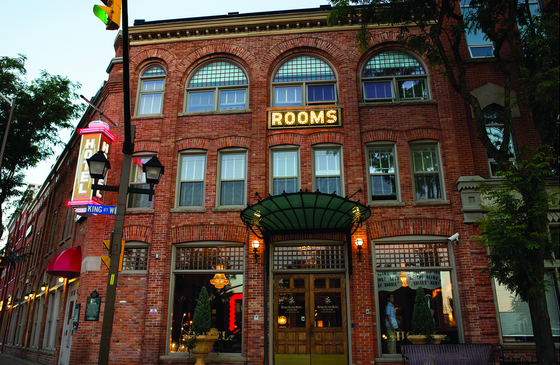 Using exposed brick, high ceilings and huge Victorian windows as a backdrop, local Canadian artists have come together to transform this original 19th century themed hotel rooms into experimental, alternative works of art. Since each room represents a different artists vision, no two stays will be the same—all you have to do is figure out which one to choose first. One of the greatest themed & boutique hotels in Toronto, Ontario,Canada for romantic getaways & weddings. At the Windsor Arms, historic and new-millennium amenities are fused together to create a delicate balance of old-world charm and modern decadence. 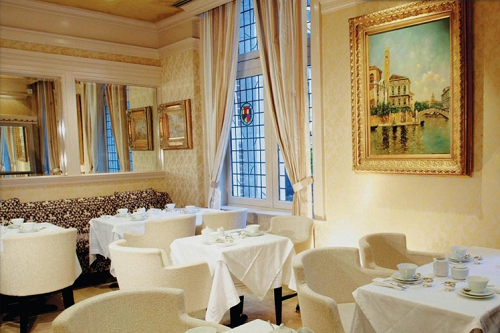 Relax in themed hotel’s French-style lobby tea room or the hotel’s majestic purple room with its original working fireplace or enjoy your Afternoon Tea behind the red velvet drapes in our Russian Red Tea Room. From live music to great food, this art exhibits and nineteen unique themed hotel rooms; there’s always something happening at Drake – one of the most memorable boutique hotels in Toronto. The hotel is the definition of a boutique hotel and affectionately refer to differently sized rooms as Crash Pads, Dens, Salons and our Suite. They are all contemporary, cozy, petite and each one is unique themed hotel rooms! Crash Pads are great for those who literally just want to crash after a night of Drake excitement, while Salons and Dens have more room for playing in. The boutique’s hotel one and only Suite is big enough to host a pre-drinks party yet homey, with its own mid-century themed living area. 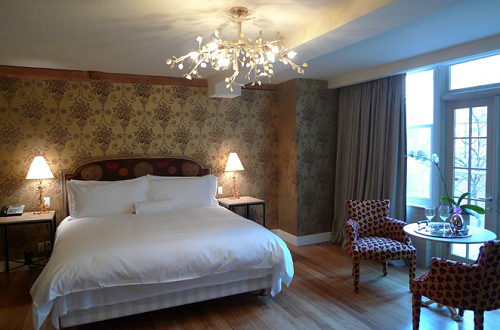 One of the memorable themed & boutique hotels in Toronto, Canada for romantic weekend getaways. Every room is outfitted with a contemporary glass shower, original artwork, custom millwork, hardwood floors, tasty treats and, of course, a handmade doll. One of the best themed hotels & boutique hotels in Ontario, Canada for romantic breaks & vacations. A turn of the century hotel transformed into a modern luxury boutique themed hotel that delivers an incredible experience. The Retro Suites Hotel located in Chatham-Kent Ontario is the area’s first upscale hotel. A unique experience that meets the distinct needs of both business and leisure guests with special services, unparalleled amenities and individually styled guest rooms. The Retro Suites Hotel combines historic elements of the King William Block with modern amenities. Individually-designed suites make use of all the architectural features of this century-old building including exposed brick walls, loft-style ceilings and large custom-built washrooms. Some of the themed hotel rooms are: The Study, Southwest, Sahara, Queens, Cowboy, Garden, Rock n’ Roll, Chic Antique, La Rouge, Manhattan, Victorian style King William, Royal Plantation, Midtown, Santa Fe, Urban Studio, First Class and more. Owned and operated by the Aitken-Gundy family and inspired by the new small boutique hotels in Europe, there is simply nothing else like The Ivy at Verity in Toronto. An authentic full service old fashioned themed hotel experience awaits you. Located in a restored 1850s chocolate factory in the historic Queen Street East District in Downtown Toronto, the hotel is steps away from Toronto’s vibrant cultural scene – all the city’s prominent theatres, galleries and concert halls are at your doorstep. Lavish, luxurious, European style themed hotel rooms this are some of the word that spring to mind when you enter one of the boutique hotel rooms. One of the memorable themed & boutique hotels in Toronto, Canada for unforgettable romantic getaways & breaks. The Madison Manor is a beautifully restored Victorian mansion. Toronto campus and the shops and restaurants in Yorkville. Rooms are themed in the style of English Country Inns with features ranging from fireplaces to balconies and alcove windows. 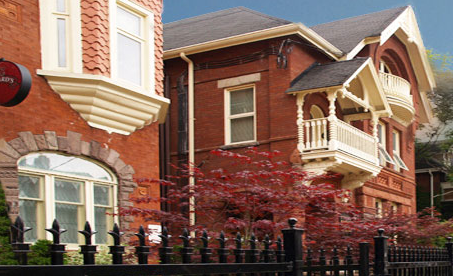 One of the greatest boutique hotels in Toronto, Canada for romantic vacations. Nestled in the heart of Toronto, built in 1902, the historic structure that houses this hotel, bar, and restaurant is ideal for hosting private parties, corporate events, wedding and engagement festivities and more. An austere décor of wood, brick, and works by local artists adorn the main bar and lounge areas as well as the event space on the upper level. 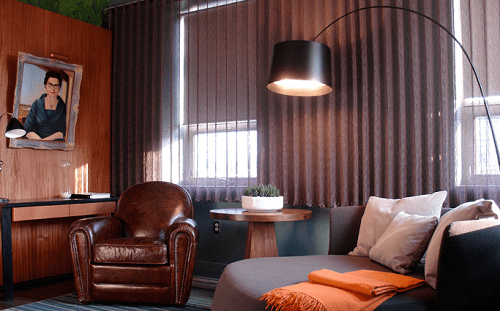 Similarly, the boutique hotel’s dozen rooms are themed in a modern, Dutch-influenced style, offering an open-concept layout, marble and granite bathrooms, flat-screen televisions, and free Wi-Fi access. One of the greatest boutique hotels in Toronto for romantic wedding. This hotel is located in the heart of the city‘s entertainment district. It’s also within walking distance of the Rogers Centre, the CN Tower and the Convention Centre. 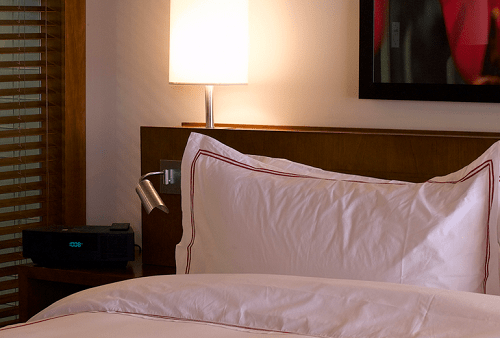 One of the greatest boutique hotels in Toronto, Ontario, Canada for romantic breaks. With its inspiring and inviting design, intimate size and relaxing decor, Hotel Le Germain Toronto is a veritable urban oasis, it even has a putting green on the roof! Guests will discover a private sanctuary with warm wood accents and awash with natural light. Hotel Le Germain Toronto shares the same goal as all Le Germain Boutique hotels: to create a comfortable and inviting atmosphere.